bridging the gap between boulders and boardrooms. We are a collective of climbers, conservationists, and content creators. We are filmmakers and photographers. We are athletes and travel addicts. And we craft beautiful, impactful narratives that build real, emotional connections between brand, culture, and community by way of visual storytelling. We won’t just identify your True North, or brand “why,” and set you on your way. In our brand discovery sessions, we survey the landscape, craft a content and channel strategy that will get you where you want to be, and chart the course to help you navigate the swamps. Let’s imagine what’s possible for your brand channels, together. A couple of the most essential components of your content marketing strategy, your blog and newsletter serve to nurture existing customers with education and entertainment, position you as the expert and/or your product as the solution, and build loyalty. At the same time, blog and newsletter content brings in new top-of-the-funnel audiences, boosts organic SEO, and drives new sales or engagement. The problem with a blog and newsletter though, it requires a lot of time and energy to deliver high-value content on a consistent, regular schedule. Content marketing is a business in itself to manage, but it’s just a piece of your business. We’re here to not only help build your editorial calendar and marketing communication systems but to do the heavy lifting when it comes to creating and curating content. Whether through individual image planning, social story takeovers, or live social video campaigns, we can help you connect with and activate your audience while driving engagement and brand evangelism. We’ll identify your network of influencers (or work with your existing ambassadors) to develop timely and relevant social promotional content that meets your brand marketing objectives in the channels that matter most to you. Virtual reality and 360-degree media is not always the best avenue to tell a story but when the moment and message is right, it’s a powerful medium for engaging an audience and inspiring action. Why? Because it puts the viewer in the director’s seat. When immersive freedom and engaged exploration is the goal of the project, nothing beats this emerging technology. We are a full-service production shop offering commercial and documentary video, utilizing industry-leading technologies including aerial video, glide tracks and stabilizers, time-lapse imagery, and more. You never know when something is going to go viral, but we’ve hit it for a couple pieces. Oh, and we’ve won awards too. There’s a reason that almost every motivational keynote or sales deck has a picture of rock climbers or mountaineers scaling snowy mountaintops… Cause that shits inspirational! Well, we’re the athletes and adventurers out there doing it. We’ve been climbing, running, skiing, and biking with cameras strapped to ourselves before it ever paid. 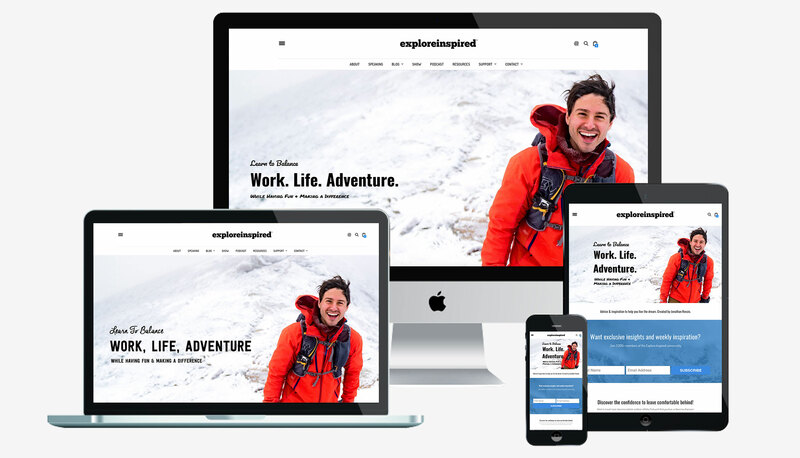 And it’s our mission to capture original, aspirational content for you, your brand, your products while inspiring the outdoor community along the way. Some people have this uncanny ability to see and sift through the clutter and chaos. To define the line of best fit when everybody else sees a scatter plot. That’s the skill it takes to look at every story told across your channels, the internal mantras, the external missions, the brand voice, the image, the products, and promotions – and to then design an ecosystem that brings it all together in a way that makes sense. That’s what we do.